My dear friend recently told me that she had had a dream that she was under water swimming, and she was able to breathe. No snorkeling gear, no scuba tanks, not even gillyweed (for you Harry Potter fans), she was simply able to breathe under water. She was swimming around with ease and freedom, enjoying the fish, coral, ocean plants and the water itself. She was feeling completely joyful and at peace. I told her I have had dreams like this myself. The context in which she told me this dream, however, is what was most interesting. Her days are filled with challenges right now, difficult to overcome. While it isn’t as if there is no light at the end of the tunnel, each day brings the question of when it will end, and how will she manage in the meantime. She asked me for guidance. She asked me for insight; she asked me for help. Each of us has challenges in life that sometimes seem insurmountable. The number of people who are facing financial difficulties due to loss of their job or business, cuts in wages or hours, or simply due to lack of clientele is staggering. Others of us have people we love who are facing chronic or even fatal illness. Still others are in relationships – whether business or personal – that demand all they have and seem to be shy on return. And you know as well as I do that the list of crises and issues we deal with goes on. What is the answer? 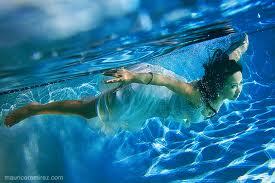 It was in my friend’s dream: breathe under water. What this means to me is that we have the capacity to survive, and even thrive and rejoice, in situations that seem as foreign to us as living under water without any breathing apparatus. Inside of our chemistry is the wisdom to flow under even the most difficult of circumstances. At first blush this may sound preposterous, but if you think about it, there are individuals who walk with difficulty in their lives and maintain their aplomb and even grace, just as there are those who feel tackled by their circumstances. Perhaps they have access to a Zen practice that helps them to keep their balance. Perhaps they are recognizing that the tools they use on a daily basis to survive simply won’t be effective in the current circumstances, and so they reach within for their inner gills, if you will, and find a way of approaching the situation that is not their norm. Maybe the effective response calls for creativity. Maybe it calls for faith in something we can’t see. Maybe it calls for a deep reach into the reservoir of our human capacity. In any case, our human potential and ability are much greater than we often realize and give ourselves credit for. If we can step out of the paradigm that is our norm, we may find that we, too, can find ways to respond to the limitations and issues that face us that seem impossible to transcend, and find in them the same freedom we would feel if we were breathing, naturally and easily, gorgeously thriving, under water. Discover how close you are to the person you would like to be. Take the FREE LifePath GPS Survey. The best predictor of future behavior is past behavior. This is a well-researched and proven behavioral principle. It’s a great guide for anticipating how someone might react to a situation, challenging question, or problem. Including ourselves. If we want to change, that means that we must make a very deliberate and sustained effort to accomplish what we desire. Otherwise, we will fall into old behavior patterns which will produce similar outcomes to those of the past. We must be deliberate because we need to catch ourselves from lapsing into our traditional and now automatic responses before they reoccur. Those reactions and behaviors usually become ingrained and we do them without thinking. To override them, we must consciously engage in new behaviors which are not yet intuitive. They may actually be counterintuitive at first. 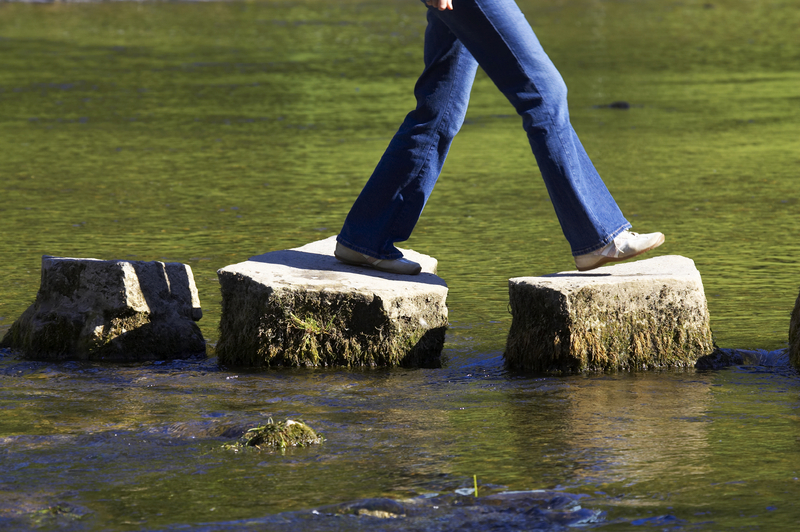 To override old behavior paths and blaze new ones, we must walk the new path repeatedly. That’s how we can supersede our historical behavior patterns and replace them with the new ones. The new ones need to gain strength and familiarity, and demonstrate they lead to more satisfactory outcomes. It may take some time and deliberate effort before our new behavior patterns become strong enough to change our old impulses. Repeated practice is essential. Even once the new behavior pattern is established, we must continually guard against falling back into the old one, because that path does not disappear right away. It is still there and familiar and it will take time before disuse will significantly weaken it. With sustained effort, it will eventually lose much of its power and recede in our behavioral repertoire. The good news is that change and personal improvement is possible. It usually requires work to bring about and it is not a linear path. Most of us cannot change like flipping a switch. We will have our successes and setbacks. By continually working on change we desire, and compensating for the times we relapse into old undesirable behaviors, we can breakthrough to become more like the person we want to be. What changes are you working on? What new paths are you trying to blaze? How can you prevent sliding back into old behaviors? How can you recover when you do? How can you heighten your success? Discover how close you are to the person you would lie to be. Take the FREE LifePath GPS Survey. Often people ask me where God is: Where was God in Japan’s recent tsunami, or in Hurricane Katrina? Where is God in my husband’s death or in my son’s recent diagnosis of leukemia? Where was God when my wife was cheating on me? Or where is God when millions of people suffer with hunger, lack of education or disease? Each of these questions gets at our inability to understand tragedy and evil. We want to believe that if there is a God, and God believes in good, that God would only allow good things to happen. While there may be faith traditions that would ascribe to this approach, Judaism does not. Judaism teaches that God encompasses all. Additionally, God made humans to be God’s partners in making this world whole and loving, and God created humans with free choice. We are therefore able to choose to do good works or bad, those that heal or those that harm. While there are many faith leaders in various religions that would say that evil, tragedy and horror are God’s punishment of us for our transgressions, this too can be seriously problematic. It is not a paradigm nor a theology that I can get behind. What then, do we make of crises, illness beyond our control, tragedy or natural disasters? Rather than ask where God was when these were taking place, we can focus on how we can help. We can reach out to those who experience trauma and loss. 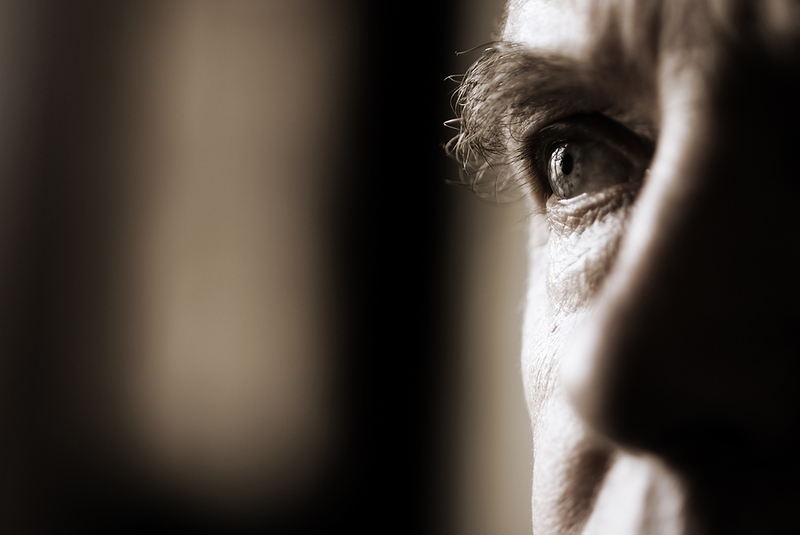 We can offer comfort to one who is ill or who just lost a loved one. We can rebuild where disaster has torn down, send food and medicine where there is none to be had. We can join our hands to dig people out of life threatening situations and set them on firm ground until they can once again take care of their own needs. This is where God can be found. In every outstretched hand, in every smiling face, in every financial contribution, in every offered service, God appears. 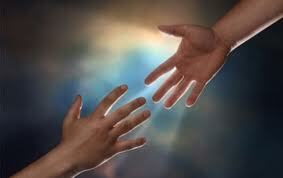 God is present as we work to bring solace and relief, as we use the love in our hearts to help another human being. I had a teacher once who said that sometimes we ask the wrong question. Rather than ask, “Where was God when the tragedy occurred?” let us ask, “How can I be the messenger of good will in this crisis?” and in so doing, bring God’s light forward in the world. In a recent column, Robert J. Samuelson defined leadership as “the capacity to take people where they need to go – whether or not they realize it.” Samuelson’s quote was in the context of the great fiscal debate taking place in the United States. In my mind, the key phrase in his definition is “need to go” as distinct from “want to go.” This is why leadership courage is vital. To take people, and in this case the country as well, where they need to go requires having a clear vision of the new future one wants to create as well as a recognition of realistic constraints. It also requires putting the greater good and long-term needs ahead of personal or political interests and short-term expediency. Sometimes the choices are painful and difficult to make, especially when entrenched interests or political bases will be ruffled. Self-interests that are met at the expense of the greater good, or sacrifice future benefits of others, need to be set aside or placed in conext. When they are not, parochial interests end up trumping the overall good. The other critical element is intellectual honesty on all sides of the debate. False leadership is often riddled with half-truths and use of selected facts that paint a distorted picture. Or making gross exaggerations, demonizing opponents, and employing scare tactics. Often these are about taking certain groups or constituencies where they want go rather than where the country needs to go. These tactics have no place in rational debate and decision making. They only polarize and weaken necessary partnerships critical for achieving desired ends. Courageous leadership requires telling hard truths accurately, fully, and objectively. Then logically evaluating and interpreting the most complete set of data possible to form honest conclusions and develop systemic solutions. These principles apply not only to political leadership, but to business, organizational, and individual leadership as well. On a personal level, are you leading yourself where you need to go? What are you doing to take on the hard challenges of building a better life and brighter future – not just for yourself but for those in your family, future generations, organization or company, and community? Are you placing the greater good ahead of personal gain or to preserve your status quo? Are you demonstrating leadership courage to take others “where they need to go – whether or not they realize it.” How courageously are you leading yourself? Life never fails to inspire me. No matter what might be going on in my day or week, I invariably come in touch with something so remarkable that I am lifted from whatever thought or experience I am having, into joy and amazement at the versatility, creativity and care of human beings. Today I learned of a man, Rick Willett, who is a percussionist. 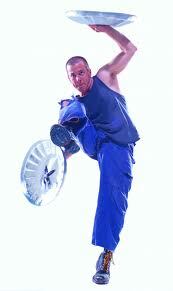 A number of years ago he became involved in body percussion with a performance group called Stomp Dance Troupe. In Colombia, he had occasion to use this technique with Dance for Tolerance, a group addressing children at risk who are dealing with issues of poverty and violence. Working with them he saw their hardened faces change. That was the beginning of Willett using this technique around the world to help children who are trauma victims. He next met with children in Brooklyn’s Bedford Stuyvesant – kids with difficult backgrounds, living amidst drug dealers and addicts. Once again, as they were occupied making rhythms, he saw a change in the children. He teaches a rhythm. When the kids have it, he speeds it up, adding accents and changes. The kids are instantly fully engaged, and for a time, forget about their circumstances. Willett was on his way to Japan for a project when the earthquake and tsunami hit. He thought he might use his skills with Japanese children to help reduce their stress. While he was in Kamiyama, he was working with some kids and there was an aftershock. Taking one look at their faces, he saw just how much stress they carry around with them beneath the surface. When they started the body percussion again, however, their worry faded. What he saw was a group of kids having fun. Willett’s hope is to help take the kids’ minds off of their stress. He says he wants to help them recover fun and bring back some childhood back into their lives. While he focuses on the kids’ enjoyment, he also acknowledges that the body percussion enhances teamwork. What he might not be thinking is that for some kids, he may be providing a choice that they never had before, an opportunity to see beyond the circumstances of their everyday lives to possibility. Thanks, Rick Willett, for doing what you do, and for being such an inspiration. “The shadow of the past holds the future hostage.” I read this line on a poster and it captures in one sentence the problem that prevents many of us from realizing our ambitions and dreams. Our past can be a dead weight that locks us in an unfulfilling present by creating psychological barriers that are difficult to break through. As a result, our future could look very much like our present. In that sense our past may be much more than a dark weightless shadow. Big mistakes that make us so risk averse that we do not recognize or seize new opportunities, or we talk ourselves out of pursuing them. Admonishments from parents, teachers and others that make us feel guilty about succeeding, or that we cannot do it, or that we are unworthy of it. Resentments and anger about past slights that disagreements that have destroyed or significantly damaged relationships we once valued. Self-talk based on bad past experiences that convinces us we cannot do something. Setbacks that occurred from insufficient effort, skill, knowledge, or resources that keep us from trying again or seeking solutions or partners for moving forward successfully. Develop a vision of your future. This is as simple as describing in a sentence or two what success looks like for you. Then post it somewhere prominently so you can be continually reminded. Identify what you want to be known for – the kind of person you want to be, the values you wish to embody – and then consciously make them a part of your life. The process of creating your future should resemble what you’d like your future to be. Breathe the spirit and inner magnificence you possess into the world. Don’t keep them inside. Make them a part of who you are. Take the initiative over and over again to make progress. Take reasonable risks and do not fear setbacks. You will have them. They are learning opportunities and help you build a base of experience that will drive future success. Without risks there are no breakthroughs. Believe in possibilities, talk incessantly about them, and act to bring them about. Make constructive and positive choices for moving forward. Build and restore relationships. None of us can succeed solely by ourselves. If past relationships have been problematic, repair them or if they are truly beyond repair, move past them. Move from passion to action to fruition. You can only fulfill your vision and purpose through determined action. 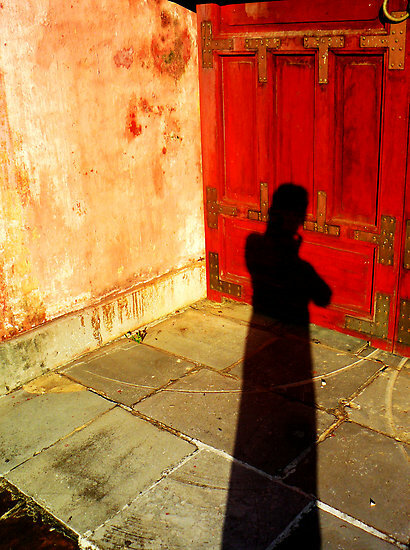 What are your shadows? How are they holding your future hostage? How can you unshackle yourself from them to create the future you most desire? 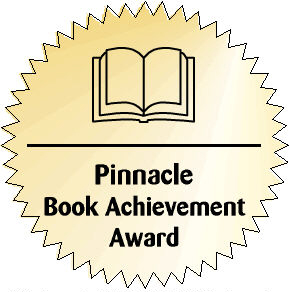 Our book, Find Fulfill Flourish, was won the Pinnacle Book Achievement Award and named a Finalist in the Self Help category of the 2011 Next Generation Indie Book Awards. Ben Bolch of the Los Angeles Times calls it “an inspirational tour de force” Click here to purchase it. Click here for an overview and here for a free sample chapter. Book readers also receive FREE access to all premium exercises and content on our website. This week we have a guest blog, written by Sarah Damsky. Everyone has secrets, and everyone has confessions. However, most people keep these secrets to themselves because they think that what they have done, experienced, or witnessed is so strange, weird, or uncommon that no one else can relate… This could not be further from the truth. In a Tumblr blog I recently started, people have the ability to anonymously submit and post their confessions, sharing them with the world and helping them to let go of that one little thing they felt like they couldn’t tell anybody. These confessions have been from as light as: “I still sleep with a teddy-bear,” to as heavy as: “I feel responsible for my parents’ divorce.” What is even more interesting about this phenomenon, however, is the amount of people that “like” or “re-blog” these posts. People who previously thought they had habits or secrets that no one else could relate to are shocked to find out that hundreds of people have been re-blogging and sharing their confession with others. The site not only gives people a safe environment to share those facts that constantly weigh them down, it also gives them a sense of reassurance. It helps them realize that they are not as alone or strange as they really feel that they are, and that maybe sharing these deep thoughts can lead to friendships, and eventually community. While we might be embarrassed or ashamed by our own secrets and confessions, it is important to remember that we are all human. If we have done it, someone else probably has as well. We all learn from our mistakes, but perhaps by sharing our stories and secrets, (albeit anonymously), we can help others learn from our mistakes and experiences as well.